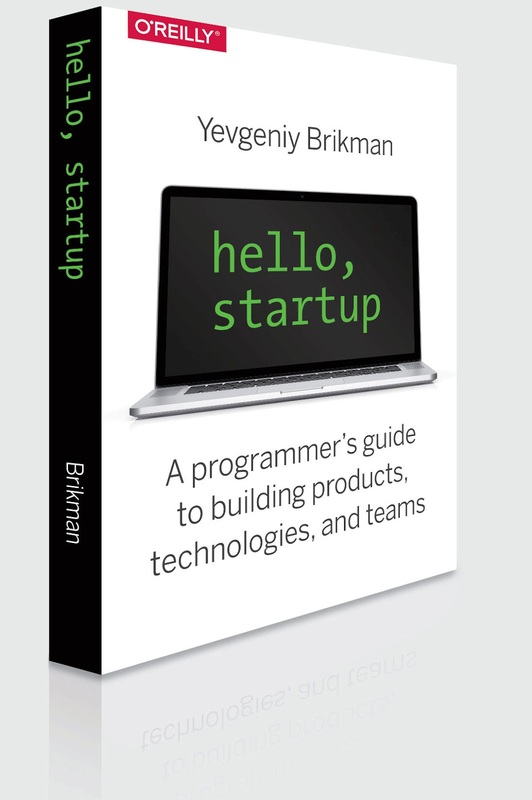 This is a book that I really recommend and wish developers and non-technical people would read: hello, startup. It has lots of insights not only on startups but also on careers, business, management, culture, handling success, failures and more, way more. This book will teach you how to build products, technologies, and teams in a startup environment. It's based on the experiences of the author, Yevgeniy (Jim) Brikman, as well as interviews with programmers from some of the most successful startups of the last decade, including Google, Facebook, LinkedIn, Twitter, GitHub, Stripe, Instagram, AdMob, Pinterest, and many others. If you're at all interested in startups, this book is for you. If you're planning on building your own company, want to know more about the startup scene, is searching for answers regarding your current job and think that a startup may be your best choice, please take a look. For more book recommendations on this blog, please click here.